Dumbbells? Barbells? Flat? Incline? Decline? Here’s everything you need to know about getting the “throne of the weight room” right every time. Whether you splurge for an eucalyptus towel-laden Equinox membership or are lucky enough to work out for free at the community center, every gym on the planet has two things in common: (1) The only available treadmill is the one next to the man talking loudly on his cell phone, and (2) There are benches, most of which are reserved for one exercise in particular. Within the bench press family, though, are three sub-options: flat, incline, and decline. And for those of you who just tend to pick whichever piece of equipment is open at the moment you’re ready for chest day, it, stop doing that! Each one comes with its own set of strengths and weaknesses, and you should know about them. 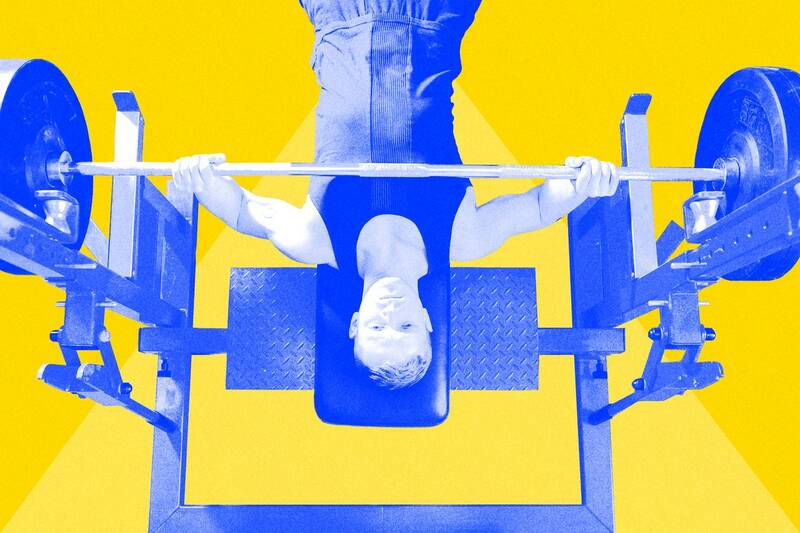 We asked a few trainers to help demystify the bench press—in all its forms—so that your diligent efforts do not go to waste. Word to the wise, says Yuen: Most non-adjustable incline benches are set at too steep of an angle. A slight tilt is all you need. Too much of an incline shifts the load to the anterior deltoids—the front part of your shoulders—which are muscles that most routines already work often enough. How often, and with what? Although your instinct may be to reach for the barbell, Yuen says that opting for dumbbells can help keep you injury-free. “The bar allows for a good amount of freedom, but it also locks your arms into more of a fixed path than dumbbells do,” he says. Once you feel comfortable with the movement, the barbell is what will propel you to those eye-popping one-rep max numbers. “It’s a bit more stable, and the shoulder stabilizers do not have to work as hard,” he explains. Whatever your iron implement of choice, make sure you get the form right before you start tossing on plates like sriracha on eggs. Your feet should be directly below your hips, and your glutes and core should be engaged throughout the duration of the movement. Don’t arch your lower back—that’s cheating—and avoid the temptation to puff out your chest. With a little patience and a lot of work, you’ll be a multi-plate guy before you know it.